If elected, UKIP has promised to cut the foreign aid budget in order to sort out a nation they clearly believe is failing. 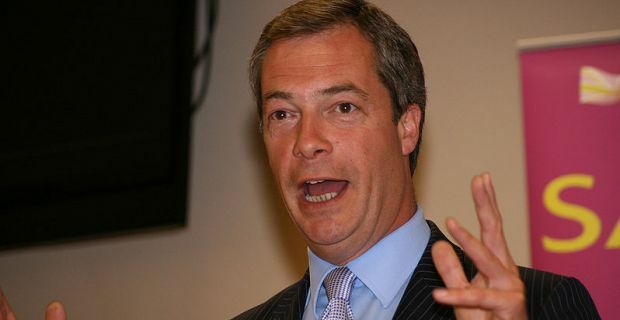 The UKIP budget cuts for 2015 and beyond will lead to £17 billion per annum more to be spent on Britain and its people thanks to two major cuts. Of course, anyone who’s heard of UKIP will know that they’re pro Britain in the sort of way that kind of makes them anti-everyone else. To that ends, their policy of leaving the EU isn’t just meant to free up the first £8 billion of the £17 billion they’ll release from the budget, it’ll also mean political distance from the other nations in the EU. The balance of the proposed £17 billion saving will be make from savings in the foreign aid budget. Again, this is UKIP keeping all the money for the people. This £9 billion saving on the foreign aid budget will mean less or possibly no money for disaster relief aid and schemes that currently help people from less developed nations to get access to fresh water, as well as inoculation against preventable diseases. UKIP have also promised to abolish the HS2 project. The High Speed 2 rail network is a bit pricy to say the least but is it really “uneconomical and unjustified” as Nigel Farage's party claim? In a manifesto that’s full of promises to scrap government initiatives to save a few pennies, UKIP also maintain that they’ll get rid of the Department of Energy and Climate Change and scrap green subsidies. They’re also promising to remove the Department for Culture Media and Sport completely while reducing Barnett Formula spending and giving devolved parliaments and assemblies additional tax powers.